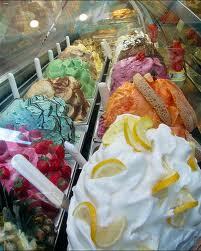 In Florence the Gelato Festival is taking place from May 23 to 27, 2012. Italian ice cream is increasingly getting trendy. Being highly appreciated by consumers, it has become, in spite of the economic crisis, synonymous with quality ingredients and healthy lifestyle. Thence the event “Gelato Festival”, enhancing the Florentine invention. In fact its origins date back to the Renaissance awakening of arts and culture which involved cooking as well. According to some, Ruggeri, a poultry breeder, took part, as an amateur, in a cooking competition set up by the Medicis. Ruggeri presented a frozen dessert called “sweet and flavoured water ice “, which immediately won the competition. Catherine de’ Medici, on her leaving for France to marry the future king of France, brought him to Paris as a court chef. Another version attributes the ice cream invention to the multifaceted genius, Bernardo Buontalenti, sculptor, architect, designer, manufacturer of weapons. The artist of the Grotta Grande in Boboli, charged by Cosimo the first to supervise a banquet organization in Forte Belvedere, stunned the guests with a cold dessert, a custard made of milk, honey, egg yolk, flavoured with lemon, orange and bergamot . 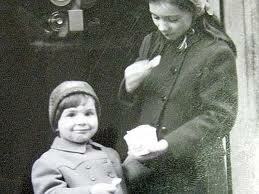 From there the story of Florence as the birthplace of ice cream. This long established tradition has chosen on the occasion the most celebrated Florence backgrounds. 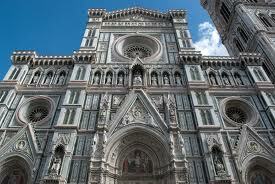 Piazza Santa Maria Novella is going to host the Ice Cream Village. The Sammontana , industrial icecream producers will choose the Piazza della Repubblica while the Youth Village Ice Cream will be located in Piazza Strozzi. All around meetings and various cultural events. 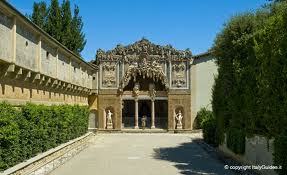 In Boboli Gardens the newly renovated Grotta Grande will be lit up according to new technologies. The Fratelli Alinari, famous Florentine photographers and owner of the historical photographical archives will organize an exhibition focusing on old images of ice scream sellers. The celebration, though focusing on past tradition doesn’t forget, however, the technological side and Carpignani, ice machinery producer, is going to present the establishment of the Ice Cream University of Anzola, Bologna. On the occasion new ice cream flavours, enriched by the essences created by artisans-perfumers, for whom Florence is particularly famous, will be tasted by visitors together with ice cream cocktails, created by the best barman to be paired with dishes by famous chefs. In short, a unique event in Florence to be lived and enjoyed by the general public in search of Italian made quality food.